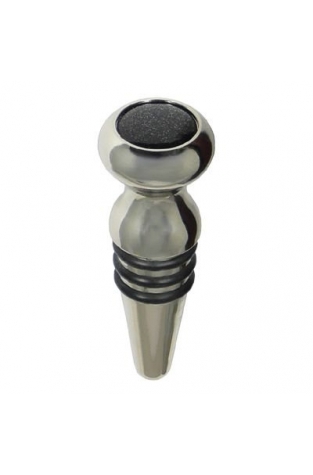 This wine bottle stopper is triple-sealed with 3 rubber rings and is fashioned from chrome-plated brass which lends a nice solid feel to this useful wine accessory. 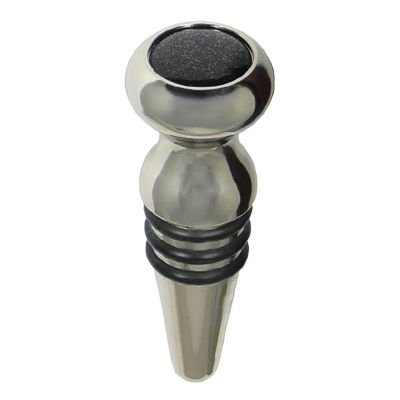 This wine bottle stopper is triple-sealed with 3 rubber rings and is fashioned from chrome-plated brass which lends a nice solid feel to this useful wine accessory. Use it to seal bottles of wine or port to keep them fresh and eliminate the possibility of contamination. This would make an ideal small gift for any wine lover - perhaps accompanied by a nice bottle of wine.